10 Nisan 2019 Çarşamba 19:00 - 3 reads. 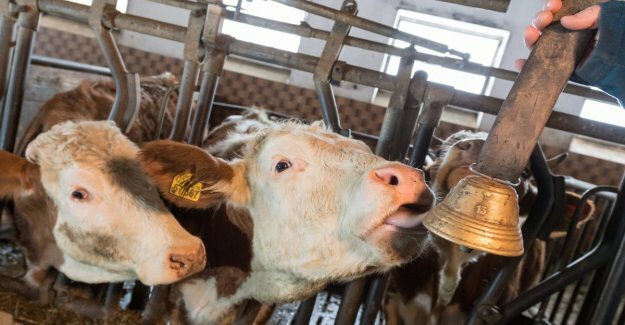 The higher regional court (OLG) of Munich has rejected on Wednesday the lawsuit of a Anwohners who feels disturbed for years by the bells of the cows in an adjacent pasture. He wanted to reach out-of-court a the end of the Geläutes. The dispute has lasted for five years. The lower court had dismissed the claims of the man and his wife in particular, for a comparison, the man with the farmer's wife had closed in September 2015. Therefore, cows with bells should graze only in the at least 20 meters distant part of the pasture. The couple had sued, in spite of the settlement, as the compromise brought to his view, hardly any discharge. In the summer of 2017, the plaintiff decided to further legal steps and filed a claim against a farmer and municipality. The goal: The Lawn in front of his house may not be for Grazing. The arguments he leads several into the field. Because of the persistent noise, he and his wife suffered from insomnia and depression. The cow dung will be attracted to willow tech could fly transmitted diseases. The by the cows caused by the loss of value of his house, summing to approximately 100 000 euros. And: The bells are animal cruelty. farmer's wife, Regina Killer thought, however, in the midst of a culture war they wanted to lose. "It's about our traditions," she says, undeterred, "if it goes on like this, Bayern in the end."